So you have booked your first ski trip, you are super excited but also anxious and unsure about what to pack in your suitcase? 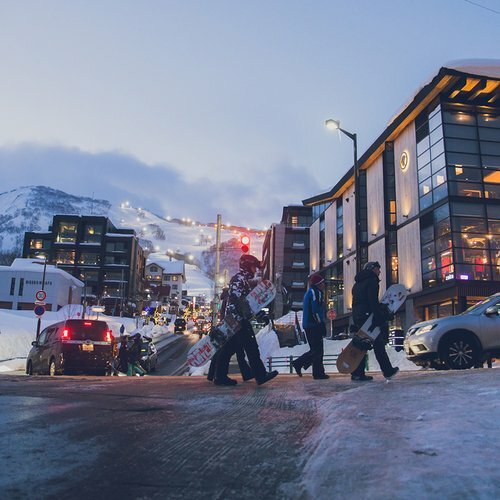 We have put together a suggested list of essential items to bring for your ski holiday. As skiing is an outdoor sports, choosing the right ski wear will help you have more fun and make you look like a pro! 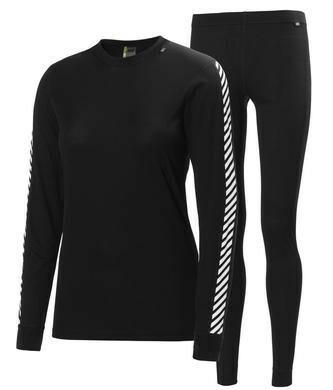 An often overlooked piece of clothing, the base layer is the first thing you put on prior to tackling the slopes. Skiing can be a demanding sport and you'll still sweat even though you are in freezing weather. Good thermal underwear helps wick the moisture away from your skin to keep you dry, which is a must in cold weather. Cotton is not a good choice for this purpose as it holds moisture which will then turn into ice during your resting moments. Look for polyester, merino wool and polypropylene base layers as these materials only absorb a small percentage of moisture. 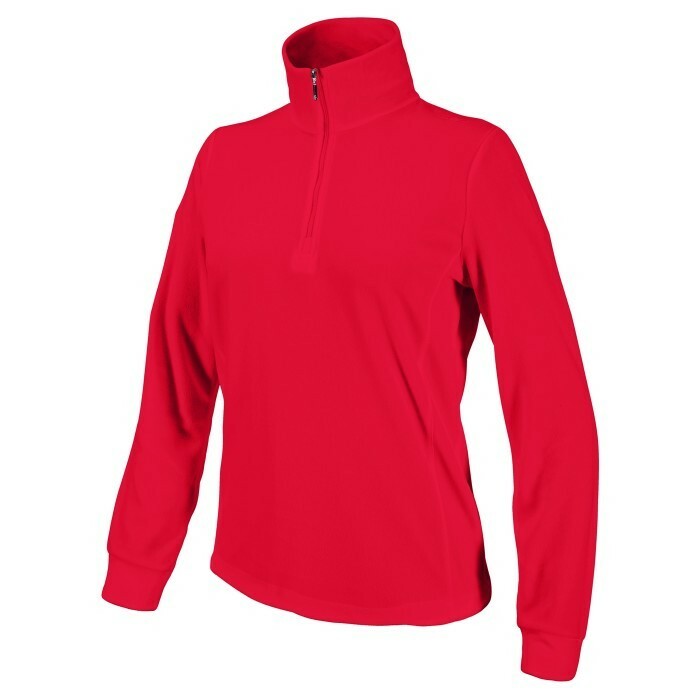 Fleece such as Polartec(R) - a lightweight and breathable material that provides warmth in varied conditions. Natural fibers - goose down or wool are excellent insulators to be used as a middle warm layer. Goose down is especially good for very cold conditions. However, the down jacket does not perform well once it gets wet. It is also not recommended for people who are prone to easily overheat. 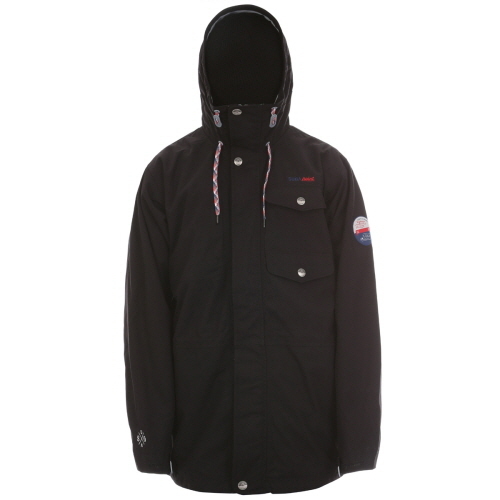 This is your outer layer that will protect you against the wind and snow. 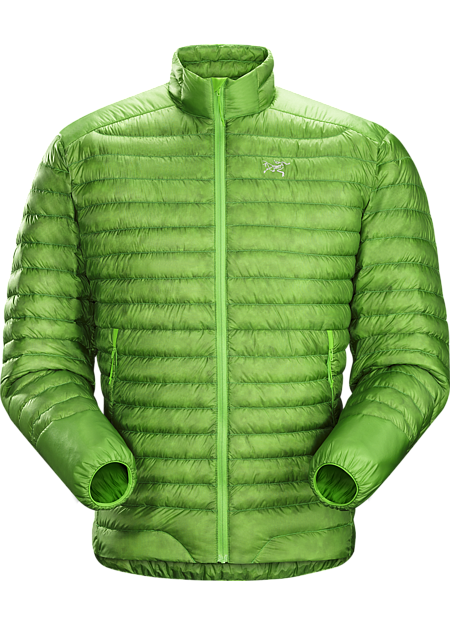 There are two types of ski jackets: insulated or shell-type (i.e. no insulation, just a waterproof and windproof layer). Some jackets include a removable warm layer to provide more flexibility in different seasons. Please note that a normal down jacket will not do the job as an outer layer as it is not waterproof. 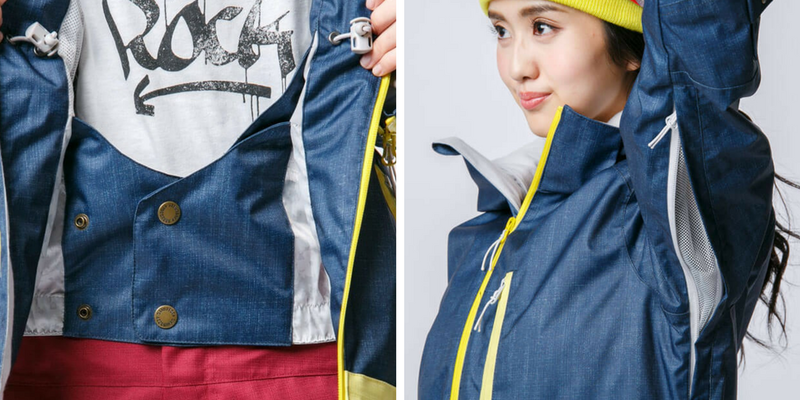 You can consider using your down jacket as the warm layer under the shell. Waterproofness and breathability are two indexes you should pay attention to when choosing your ski jacket. Manufacturers usually indicate the ratings on a tag attached to the jacket. Waterproofness is usually expressed in millimeters (mm) and indicate how much water a 1 square inch of fabric can support before it begins to leak through. Breathability is normally shown as gram (g) per square meter (m2). 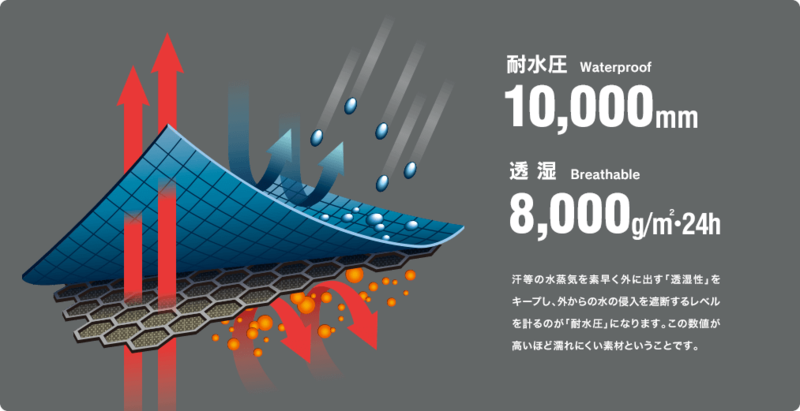 It indicates how many grams (g) of water vapor can pass through one square meter of fabric. The higher the numbers, the higher the waterproofness and breathability of the fabric is. Dry snow and light rain. Rainproof and waterproof except under high pressure. Furthermore, it is good to get a jacket that includes a powder skirt and vents. A powder skirt is like a gaiter around your waist to keep the snow outside. Whether skiing or snowboarding, be prepared to sweat and air vents will facilitate air flow and allow you to dump heat when necessary. 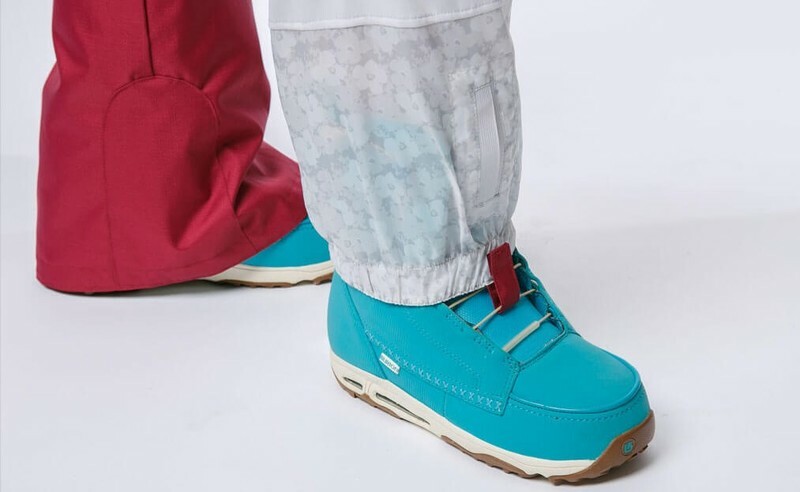 Functionality is important, but that doesn't mean you can't express your inner fashionista on the slopes. The prevailing trend in Asia this winter is earth tones and natural colors such as dark green, black and khaki. The designers focus more on subtle details such as a light floral or camouflage pattern. Instead of choosing bright colors such as orange, green or yellow, opt for the earth tone jackets to look cool on the mountain or while having a drink at your favorite après bar. Built-in gaiters - They are found under the cuffs and the primary purpose is to keep snow out of your boots. 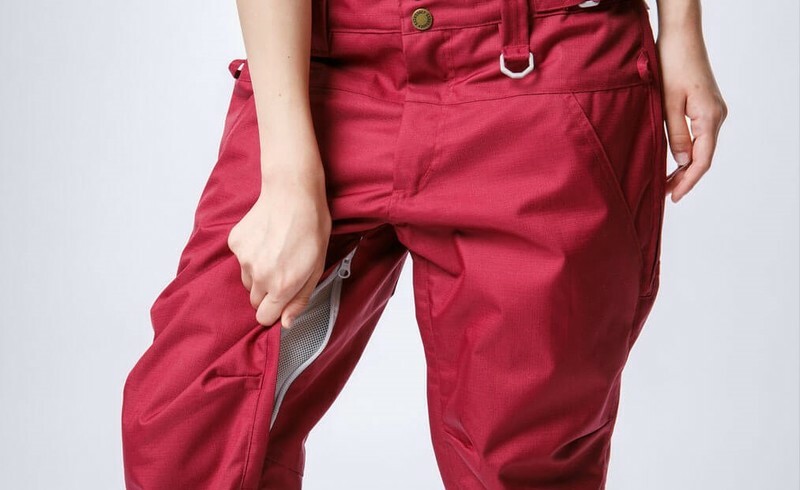 This is a common feature for both ski and snowboard pants. Vents - Similar to your ski jackets, the vents allow you to release heat when you get too hot. They are commonly found in the inner thigh areas. If you are a beginner, you don't have to invest a considerable sum of money on gear. Many shops offer rental equipment to get you geared from head to toes. The experienced shop staff will guide you throughout the fitting process to make sure you safely enjoy your time on the slopes. Worth noting: it is recommended to wear the same thick socks you'll wear on the slopes when your try on your ski / snowboard boots. There are a number of ski rental shops around Niseko that offer quality equipment for rental. 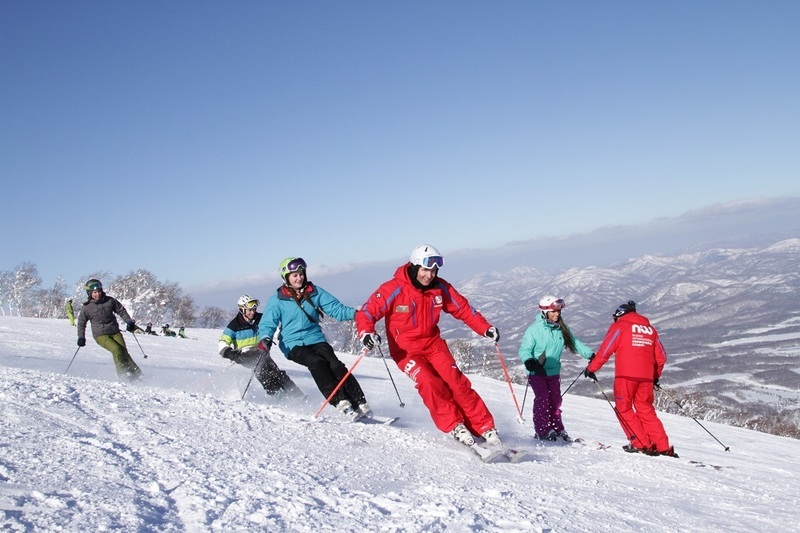 One of the most popular one is Niseko Sports which offers the latest gear. 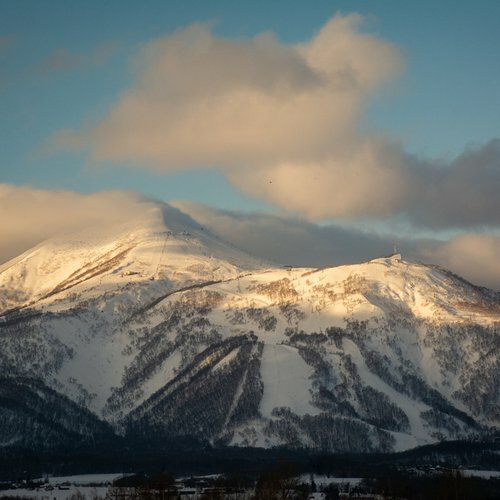 On top of offering a free pickup service for guests renting equipment from their Hirafu main store, Niseko Sports can also transfer the equipment from Hirafu to Hanazono Resort if you have lessons with NISS ski school on the next day. If you are new to skiing or snowboarding, don't worry about having to invest in your own equipment. 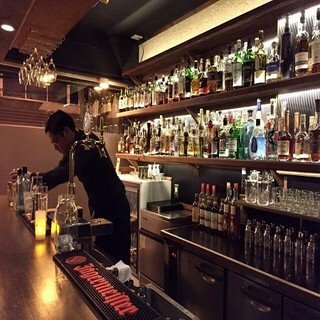 You can arrange equipment rentals with one of the many reputable shops in Niseko. Chosing between gloves or mittens is a matter of personnal preference. Mittens are slightly better at keeping your fingers warm but gloves are more convenient. You can choose the pattern or style you like, as long as they keep your hands warm and dry! We can't stress this enough: get a helmet! You can either rent or buy one, but wearing a helmet is the only way to keep you safe. Even if you learn skiing in the beginners' area, you never know if someone will bump into you. Goggles are essential to protect your eyes against the sun and a good pair of goggles will protect you against the full spectrum of UV light. The sun is very strong on the mountain and sun rays bounce off the snow like a mirror. 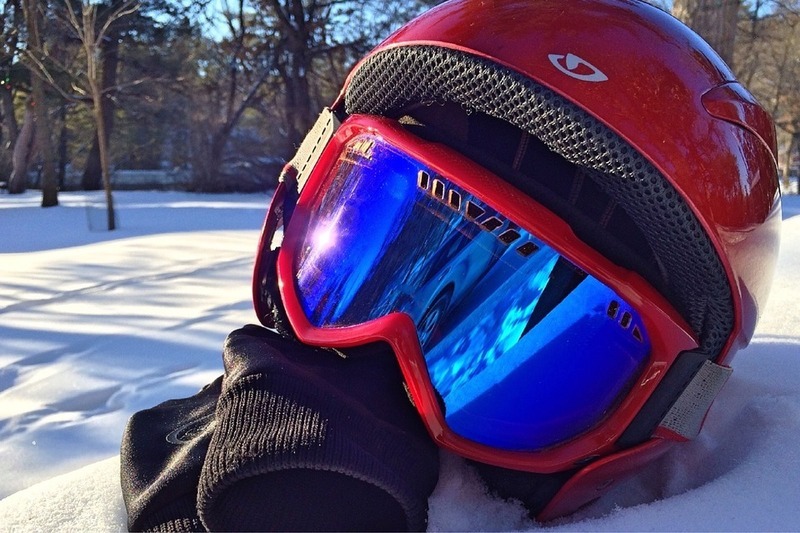 Helmet and goggles are essential items for skiing or snowboarding. Sunscreen is needed just as much at the beach as when you are on the mountain. 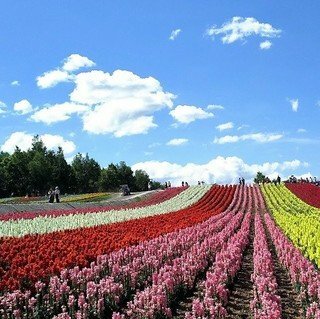 Not only are you closer to the sun at a higher altitude, the atmosphere is also thinner and less UV light is filtered. 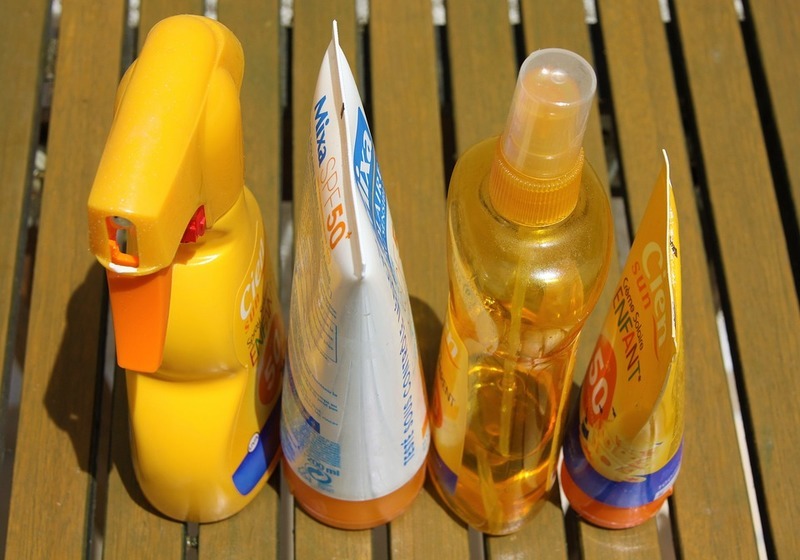 Sunscreens are often labelled with an SPF rating, which stands for Sun Protection Factor. 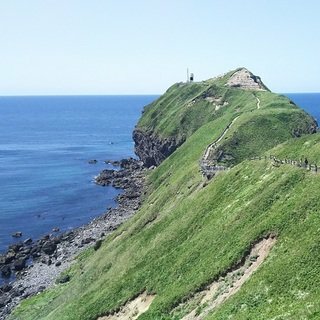 It refers to the amount of time you can stay under sun without getting a sunburn. For example, a SPF 30 allows you to stay under the sun 30 times longer than without sunscreen. If you usually get a sunburn after 10 minutes of sun exposure, you can extend it to 300 minutes after applying sunscreen. A SPF 30 to 50 is recommended for sun exposure at high altitude. Take an extra step to protect your skin - bring along some sunscreen on your ski trip. Your skin gets dry easily in cold weather. Always keep a lip balm and a small moisturizer in your pockets. Do the right thing and bring a pair of warm and waterproof boots with you. Keep your high heels for the cities. Niseko receives incredible amounts of snow in winter (in-line with our powder heaven reputation) and you'll need a good pair of snow boots to walk in the village and stay warm. 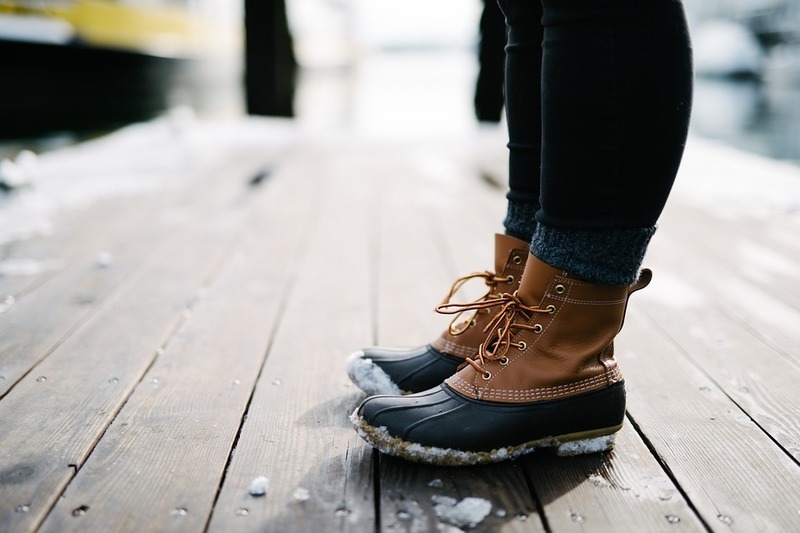 It is good to have a pair of comfortable and warm snow boots to walk in the snow. Still have further questions about your ski trip? 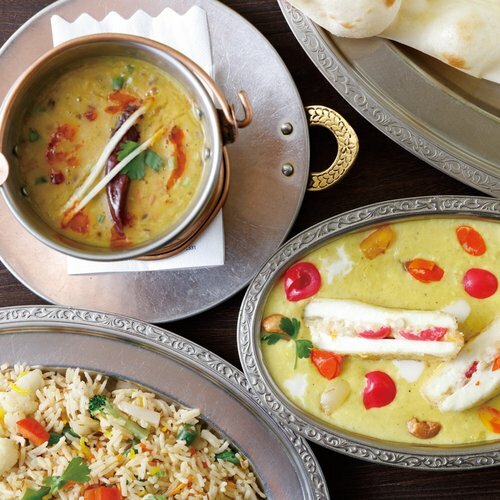 Not sure where to book your equipment? 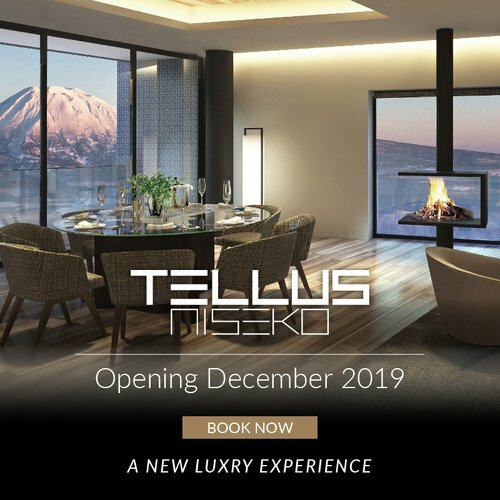 Contact our Vacation Niseko friendly reservation staff for further assistance!